This list contains data from Diamond level Korean solo queue over the past month. This list contains data from Diamond level Korean solo queue over the past month. Master and Challenger specific champion picks which had high win rates and would’ve made the list were not included because of the low number of games played on these champions. Fiddlesticks and Shaco have always been at the top of the Korean ladder, however, I don’t recommend playing them if you are new to jungling. Their play-styles are very different compared to, and much harder to pull off, typical jungle fighters like Pantheon and Jarvan IV. If you really like them and want to master them be prepared for the difficulties to come, but once you do master them you will strike fear into your opponent’s heart. 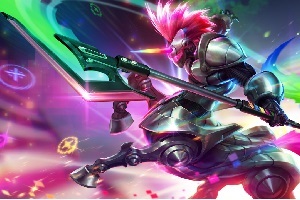 I was surprised to see Hecarim make the top 5, but the season 5 jungle changes made him stronger. Pantheon and Jarvan IV were strong in season 4 and that trend doesn’t seem to be stopping. Play what works for you and what is fun for you and don’t play something just because the Koreans are playing it, because at the end of the day having fun is the most important thing.